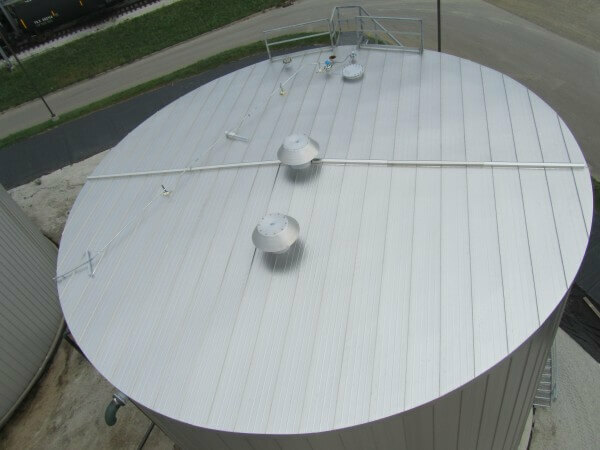 MC&I designed, manufactured and installed the RIDGLOK® Vertical Standing Seam Panel Insulation System on 3 Biodiesel tanks at a Biofuels Facility located in Erie, PA. 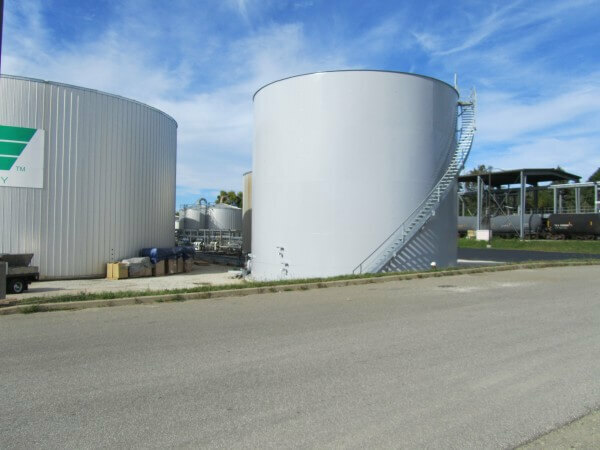 The biodiesel storage tanks are utilized to hold alternative fuel additive for a Biodiesel Production Facility. The storage tanks are 46 ft diameter x 40 ft high. The project was completed on October 7, 2013. The RIDGLOK® Standing Seam Insulated Panel System consisted of 0.024 stucco-embossed aluminum metal jacketing, in Mil finish, laminated to 2″ thick polyisocyanurate insulation board. R-value of 13.1, using a straight panel roof system. RIDGLOK® Standing Seam Insulation Systems MINIMIZE heat gain and REDUCES the load on the heaters to maintain consistent operating temperatures. 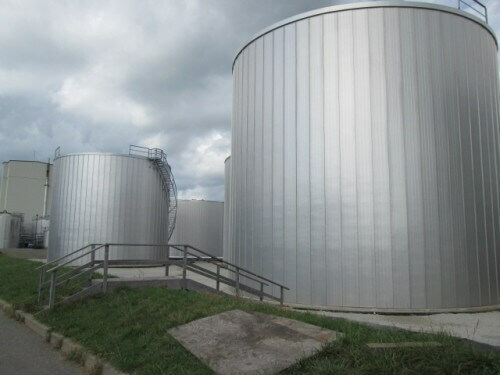 Biodiesel tanks are insulated for OPTIMAL process control. Insulation of storage tanks REDUCES routine maintenance and PREVENTS energy waste and LOWERS fuel costs.